Third, seen in this light, Genesis 3, shows what we most need. If you are a Marxist, what you need are revolutionaries and decent economists. If you are a psychologist, what you need is an army of counselors. If you think that the root of all breakdown and disorder is medical, what you really need is large numbers of Mayo Clinics. But if our first and foremost serious need is to be reconciled to God – a God who now stands over against us and pronounces death upon us because of our willfully chosen rebellion – then what we need the most, though we may have all of these other derivative needs, is to be reconciled to him. We need someone to save us. You cannot make sense of the Bible until you come to agreement with what the Bible says our problem is. If you do not see what the Bible’s analysis of the problem is, you cannot come to grips with the Bible’s analysis of the solution. The ultimate problem is our alienation from God, our attempt to identify ourselves merely with reference to ourselves, this idolatry that de-gods God; and what we must have is reconciliation back to this God, or we have nothing. I had the privilege of preaching on Matthew 28:1-10 yesterday morning – the morning we focus our attention on the resurrection of our Lord Jesus Christ! Here is a summary of my sermon in one sentence: Because Jesus Christ rose from the dead, He is worthy of our trust and our life. Generalization is the raw material of wisdom. If we can’t make general statements about people, things, or events, wisdom falls by the wayside. 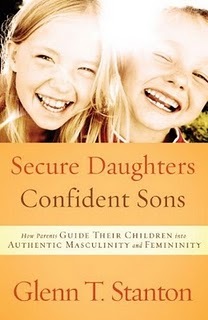 It’s obvious that Glenn T. Stanton believes in the concept – his book Secure Daughters, Confident Sons is based upon it. The subtitle is How Parents Guide Their Children Into Authentic Masculinity and Femininity gives us a clue to the purpose of the book. Stanton, director of family formation studies at Focus on the Family, has written this book as a manual for parents based upon gender differences. Even though many in our society foolishly deny any differences between men and women, we ignore them to our peril. Boys and girls, moms and dads, are “wired” differently because they’ve been created and designed by God to be His image-bearers. God’s invisible character and nature are reflected through both male and female – not one or the other. Stanton uses these differences to provide concrete instruction and counsel to parents. Boys and girls play differently, communicate differently, make decisions differently, and have different needs. Recognizing these differences and working with them, according to Stanton, is the key to a healthy family. I highly recommend Secure Daughters, Confident Sons for parents, teachers, pastors, and anyone who works with kids and loves them. This book could also be used effectively in marriage counseling, helping a husband and wife to better understand each other. I look forward to reading more of Glenn Stanton. 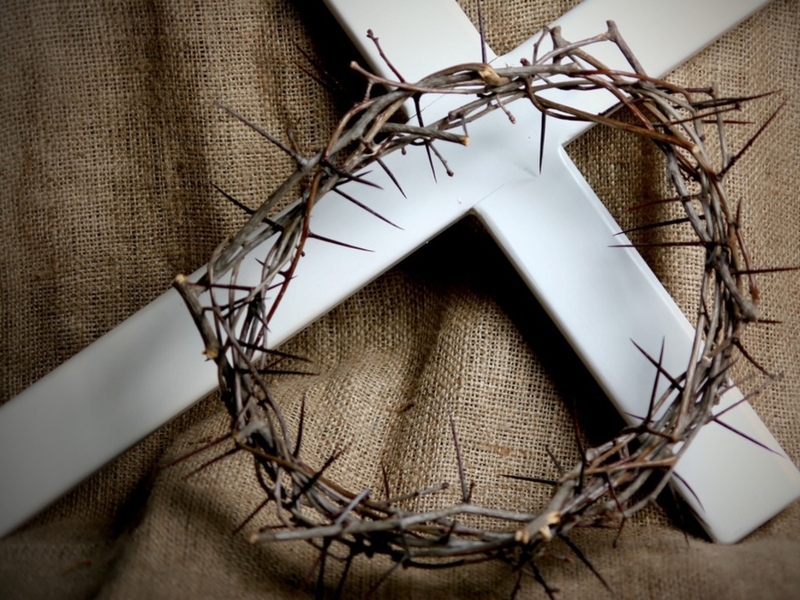 This is what makes Good Friday good – the death of Jesus Christ for God, His church, and for me. Here are three articles I’ve come across that may be of some help in your walk with Christ, and one which will cause some thinking and discussion. 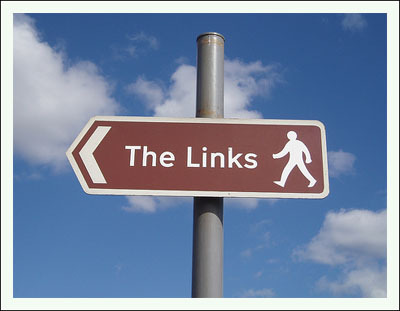 No, none of these links have anything to do with golf. Our children should learn how to war with the world, not find their way in it. Read about it here. We need to remind ourselves to rejoice. Read about it here. Find out what happened during Holy Week here. Follow it for the entire week. I had the privilege of preaching on Ephesians 2:11-18 this morning. Here is my sermon in the space of one sentence: God has placed believing Jews and Gentiles into one body – the church – through Jesus Christ. My appreciation for the Apostle’s Creed has grown immensely over the years. It’s brief and expansive, though not exhaustive. It’s also a clear statement of what we believe as Christians. Here are five good books on the Creed. I Believe: Exploring the Apostle’s Creed by Alister McGrath.